When Brendan touches his four-year-old son, Peter screams and pulls away. He suffers from a form of autism known as Pervasive Developmental Disorder and has no idea how much his father wants to make him smile. Their relationship is tortured, but Christmas is coming, and a miracle might come with it. An unlikely harbinger of the holidays arrives in the form of Tony Kemper, Brendan's childhood friend who's never quite gotten over his glory days as a 1970s punk sensation. Broke, unemployed, and homeless, Tony has recently become obsessed with the long-canceled Chip Crockett television show, a beloved memory from when they were kids. Not a minute of footage remains of Chip, but these three boys are about to discover that when an entertainer is truly great, his magic will last forever. 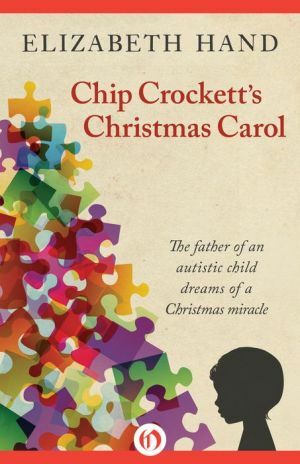 Previously serialized online, this is the first time Chip Crockett's Christmas Carol has been published in ebook form. Elizabeth Hand will donate all proceeds from this book to Autism Speaks in honor of special education teacher Anne Marie Murphy, who was killed in the Sandy Hook shooting. The two attended the same high school, where Murphy was a friend of Hand's younger sister.